The Student Senate seeks to provide an opportunity and means for self-expression and self-governance, by and for the Saint Mary-of-the-Woods College (SMWC) undergraduate student body. Student Senators are elected because of their commitment and passion for promoting positive change on campus and in the Wabash Valley. Student Senate members serve as an honorable representative for the student body by listening to peers and providing a powerful voice. Senate members meet on a weekly basis to ensure that our responsibilities are met: planning campus activities, organizing charity events, and addressing the feelings and ideas of fellow students. While adhering to the mission and values of SMWC, the Senate aids in making our campus a more enjoyable community. The diverse needs of students and student organizations are addressed through four Senate committees. Through these, Senators enable students to actively participate in the campus community, voice their concerns, and catalyze positive change. 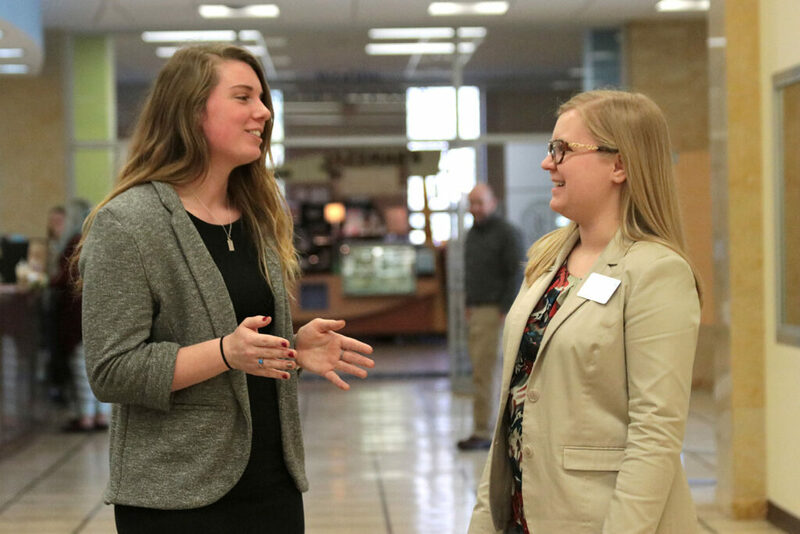 Campus Initiatives:This committee provides research and support for student-driven legislation and campus improvements, and drafts and submits formal proposals to College Council. Community Service:This committee coordinates campus-focused services such as Food for Thought goodie bags and faculty appreciation gifts and organizes student volunteer opportunities that promote interaction between students, the Sisters of Providence, and the Wabash Valley community. 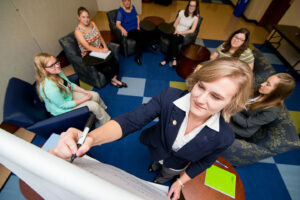 Student Forums:This committee organizes and conducts elections for student representative positions; promotes communication between Student Senators, administrators, and the student body through panels and open discussions; and conducts surveys to gain a better understanding of the needs of all students. Marketing: This committee organizes and establishes any promotional flyers, posters, etc. for Student Senate events and activities. They also serve a dual role as the Marketing Committee for the Leadership Summit and help design T-shirts, logos, and slogans to promote the Leadership Summit. The Student Senate office is located in the basement of Le Fer Hall next to the Oakley Student Center. Office hours are on Monday and Thursday nights from 9:00 to 9:45 p.m. During office hours, Senators are available to speak with students about their concerns and give updates on current endeavors.